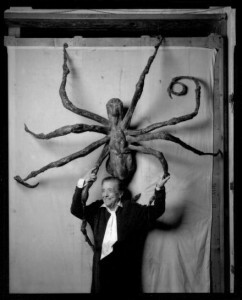 Visionary sculptor Louise Bourgeois died yesterday, 31 May 2010, and while not a filmmaker, her work has left an indelible mark on the world’s art scene. In recent years this extraordinary woman attracted the attention of filmmakers Carlos Cuaron and Marion Cajori and their 2008 documentary Louise Bourgeois: The Spider, the Mistress and the Tangerine offers up an intimate and engrossing portrait of Bourgeois’s life and work, even venturing into the artist’s studio. 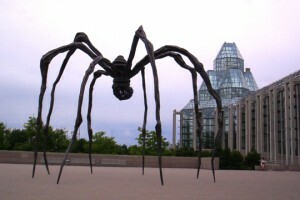 On a side note, looking at Bourgeois’s gigantic sculptures of spiders, one can’t help but wonder if her work has influenced horror films such as Alien and that dark darling of deranged cinema, director Tim Burton.